Recently, we gave a report on four monosuits from HMK, Klim, FXR and Motorfist in our Monosuit Shootout. When we received these suits, with them came some other outerwear test gear that we’ll cover here. 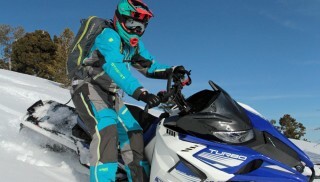 We’ve reported on the Motorfist Argo Avy bag here in a separate article. Here is a quick recap of some goggles, boots, and a helmet we’ve tested this past year. 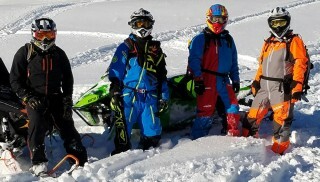 At Snowmobile.com we are both picky and critical about, and on, helmets, boots, and goggles. 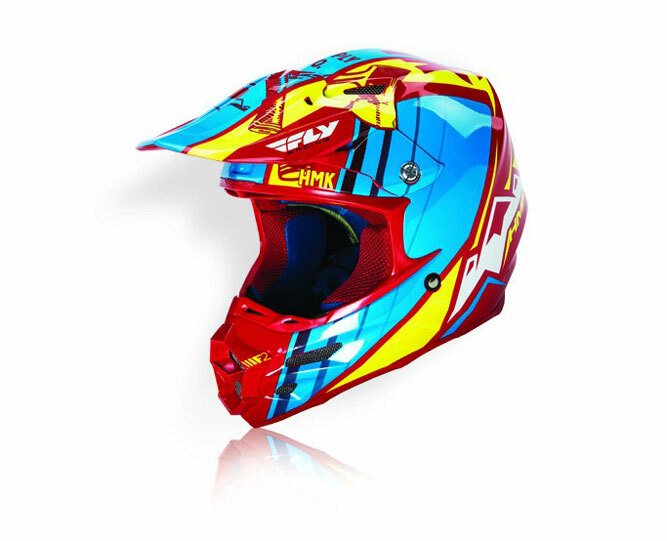 To the point, the HMK F2 carbon helmet is one the best helmets we’ve worn. Made by Fly for HMK, the helmet’s shell, called “composite construction” is built from aircraft-grade woven carbon fiber and Kevlar. It has multiple intake ports to pull fresh air in and has anti-fog vents to vent moisture. It also comes with a helmet-specific breath box. This helmet is light on the head, roomy, and gives an excellent peripheral view and mates well to HMK’s Carbon and Vapor goggle. For companion goggles, the dual lens Carbon helmet with the F2 helmet and breath box, fought – very well so – fogging and moisture buildup. Coincidently, even without the F2’s breath box, the Carbon goggle was resistant to moisture buildup. However, the Vapor goggle, not so much. 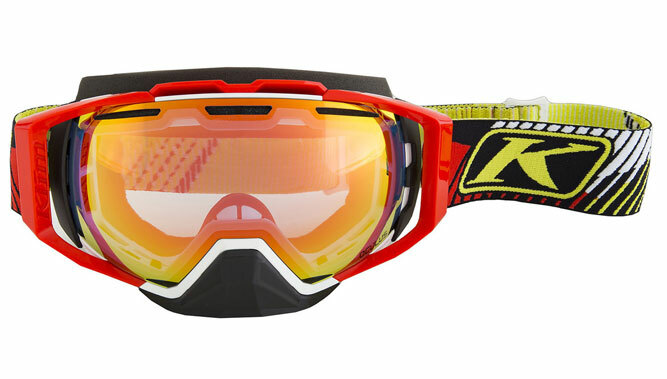 On warm, wet, and sticky snow days, the Vapor goggle would easily fog, especially without the breath box. In short, when using the Vapor goggle, be sure to use the F2’s breath box. For both goggles, the smoke-colored, amber-mirror and yellow-colored lenses knocked out glare on bluebird days. On white-out days, the worst kind of riding day, the mirror-finish amber lens on the Vapor goggle brought out terrain detail, giving us riding confidence. 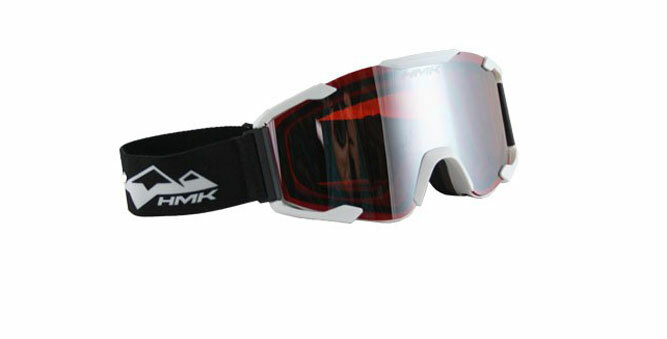 The Carbon goggle by HMK, for us, performed well with or without a breath box. Mated to HMK’s F2 carbon helmet, the goggle functioned well on cold and warm days. 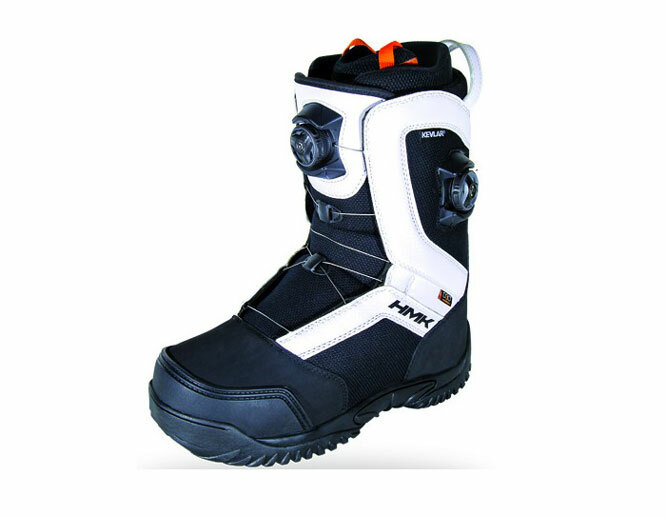 For years, HMK boots have been a fave boot for the Snowmobile.com mountain team. HMK’s Summit Dual Boa boot is a boot we came to trust throughout two winter seasons, 2016 and 2017, and current 2017 and 2018. The dual Boa cable system assures a snug fit where wanted and somewhat loose fit where wanted. The boots are easy to slip on and take off. This boot is considered waterproof and breathable by use of its high-tech inner membrane. Its heel and sole absorb impacts and the abrasions from a running board’s serrated edge. Its contoured cuff at the calf level and its pre-curved tongue help prevent lower leg cramping. Lastly, it has a Kevlar upper which makes it mountain tough. Dang good boot it is. The boot is warm. We learned that a light sock, like HMK’s Weekend Warrior sock, is all that’s needed. On one particularly cold day, we wore a heavily-insulated sock. Soon, the boot’s membrane could not keep up exhausting-out our sweat. At all times, wear the correct sock. With this boot, like any Boa boot, adjustments are needed throughout the day; feet swell when under load. Lace-up boots are not as easy to adjust as a Boa boot, but the HMK Summit Dual Boa boot makes fit-and-wear simple. From Klim we tested its OCULUS goggle. We covered the OCULUS goggle’s introduction last year in a feature Ideas for Backcountry Snowmobile Gear. After a season with the OCULUS goggle, we’ve come to find our way to wearing this goggle again and again. Sr. Test Rider, Kevin Allred swiped these from Mountain Editor Matt Allred and did not return the fine product until late Spring. When we visit our high-mountain test base camp, our rides depend on visibility and moisture control. We separate how well – or not – a snowmobile performs from our clothing and safety equipment evaluations. 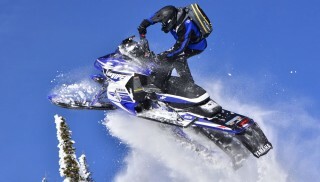 But, if a goggle severely underperforms, our ability to max out a snowmobile evaluation on any given day is cut down. 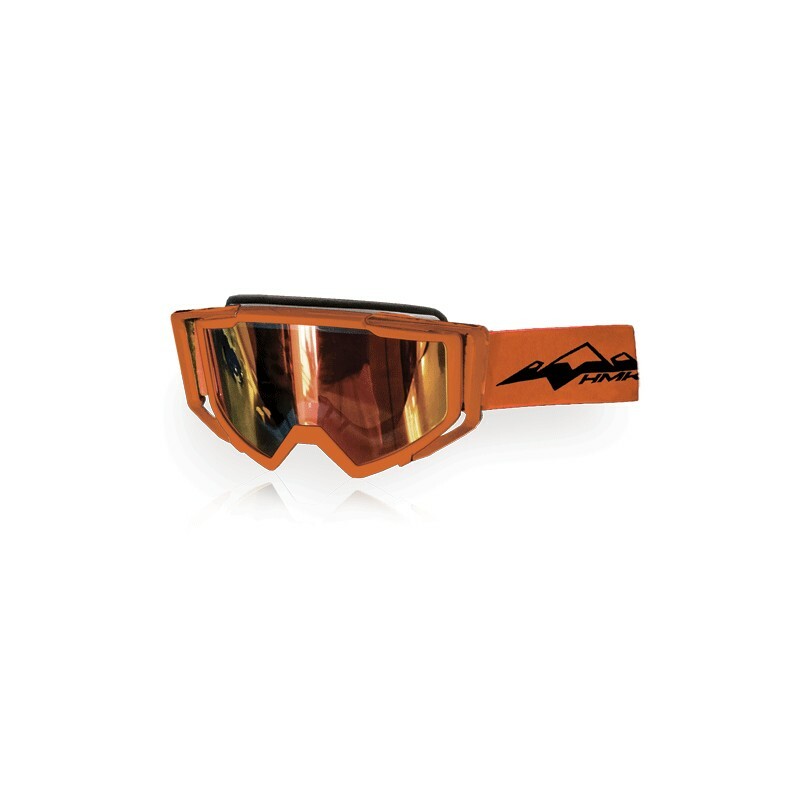 As mountain riders, we put as much emphasis on goggles, gloves, and boots as we do on the 800 mountain snowmobile’s track and skis. The goggle and helmet development crew understand this. Dual Density ABS+PC+TPU (acrylonitrile butadiene styrene+polycarbonate+thermal plastic urethane). These are stout plastic compounds formulated for resisting cracking, shattering, weather-aging and are impact resistant (for its density and thickness. The goggle’s wide periphery gave us excellent panoramic views for riding. No more excessive head swiveling to see what’s hiding right or left. The slide-lock lens hinge made changing out a lens hassle-free. But, practice swapping out the optional lens from the comfort of your home before doing so in the backcountry. By the way, what does OCULUS mean? It means 1) an eye; 2; a circular opening, especially one at the apex of a dome; and 3, a design representing an eye. The real matter is, did Klim’s OCULUS goggle work as intended? Yes, better than we expected. It did and continues to fight fogging. It also works to let moisture exhaust out and away from the front facial area. Its wide view is more than just right, it is also wide left. Get it? And its lens swap-out feature makes wearing the correct lens for differing light conditions, a snap – literally and figuratively. When taking on the steep-and-deep in the Rocky Mountains, choose your clothing wisely. The wrong boot, glove, helmet and goggle can take a good day and make it bad. 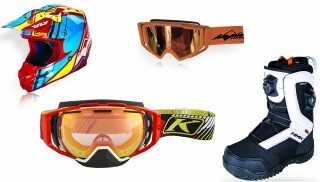 Do not depend on general motocross goggles and helmets to provide winter protection. Likewise, boots made for shoveling snow are not meant for backcountry riding. Also, if in a lost or overnight situation, the right protective wear can make a long day or an all-nighter bearable. With all that said, the correct goggle, helmet, and boot will allow your mind to concentrate on backcountry riding, not to cussing due to fogging, and to shivering because of cold fingers and toes (or to swimming because of sweaty feet); HMK and Klim have the goods to help you be a smart and wise backcountry rider.